What is it that some of us love to do that others might think of as disgusting? Nose picking is one of them, although cleaning out one’s ear wax might be the other. These self grooming moves would be better done somewhere in private, rather than having to show off to the rest of the world just how many boogers can you accumulate in the long run. 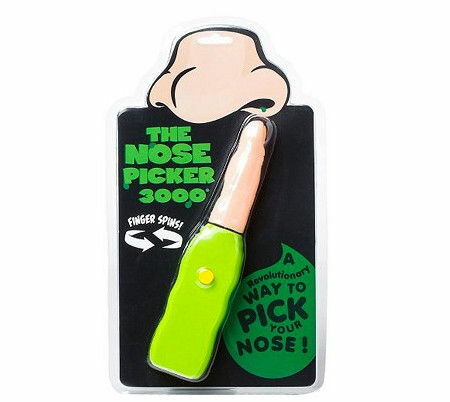 Why not outsource all of the nose picking action with the $10.95 Nose Picker 3000? This is one helpful little mechanism that will get be able to see you through those situations where your little finger fails you, and you are unable to move on unless that particular booger is removed. Cute yet disgusting for sure.